Essential oils can be used in a number of ways, however you should never ingest them (take them orally). The safest way to use them is simply to put a few drops on a tissue or cotton ball and inhale, taking care not to hold the tissue or cotton ball too close to your nose. They can be very strong! If they are to be used on the skin, you should always dilute them in a carrier oil -- a maximum of five drops per ounce of oil. (They really go a long way!) You should patch-test any new oil on your skin before using more broadly. Do not ingest, either straight or blended. They are not intended to be taken orally. If you are intending to use EOs for another person, get their consent first. If they have asthma or other breathing issues, or a history of scent-triggered headaches, I'd just skip it. If they have skin sensitivities, I'd definitely not use any EOs topically for them. Always keep EOs out of the reach of children. Do not use essential oils on children without discussing it first with their health care provider. If you are pregnant or nursing a baby, have heart disease, epilepsy, high blood pressure or diabetes, seek the advice of a health care professional before using any aromatherapy/essential oils. Skin test all oils before using. Apply a small amount mixed with a carrier oil to the skin on your inner arm. Do not use if redness or irritation occurs. Keep all aromatherapy products away from eyes and mucous membranes. If redness, burning, itching or irritation occur, stop using product immediately and consult your medical provider if self treatment is not effective. If irritation does occur, wash the area with mild soap, then apply vegetable oil, not water, to the affected area and dry. Citrus oils are photosensitizers. Stay out of the sun after using them on your skin. You can often find aromatherapy products at your local health food store. However, I like to buy online from trusted sources, because I feel that the oils are more likely to be fresh -- and that's important. If you're looking for a source for high-quality, organic essential oils, I highly recommend Mountain Rose Herbs and New Directions Aromatics (if you are in North America). You can also spend a lot of money on carrier oils, but you can also use any food-grade oil in your cupboard. Just make sure that it hasn’t gone rancid (it will take on a bad smell), and for best effect, use a carrier oil without a strong smell. Personally, I like jojoba oil best. Although it’s a little pricey and can usually only be found at health food stores, it's great for the skin, absorbs quickly, and never goes rancid. It also helps to preserve any EOs that you mix with it. First, let me just say that hands down, the safest way to use EOs is environmentally, by which I mean diffused in the air. You get most if not all of the benefits with almost none of the risks. For diffusion, use the blend (undiluted) in an electric diffuser or nebulizer. For passive diffusion, place a few drops on a tissue or cotton ball and sniff. You can also put the cotton ball or tissue in a ziplock bag and carry it in your purse or briefcase for some on-the-go aromatherapy. For massage, dilute 3-5 drops of the aromatherapy blend in an ounce of carrier oil. Essential Oil Basics: Storage/h3> EOs are volatile and will not last forever. They should be stored in a cool, dry place away from light. (I store mine in the fridge.) You should cover them tightly after use. Learn about using EOs for relaxation. Learn some great-smelling and effective aromatherapy recipes for stress. Learn about essential oils for immune system health. Learn about aromatherapy to relieve headaches. 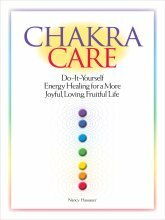 Explore using essential oils for chakra clearing and balancing. Return from Essential Oil Basics to Aromatherapy Essential Oils main page. Go to site home page .